It’s extremely important that the roaster used to roast your coffee is of the highest quality. 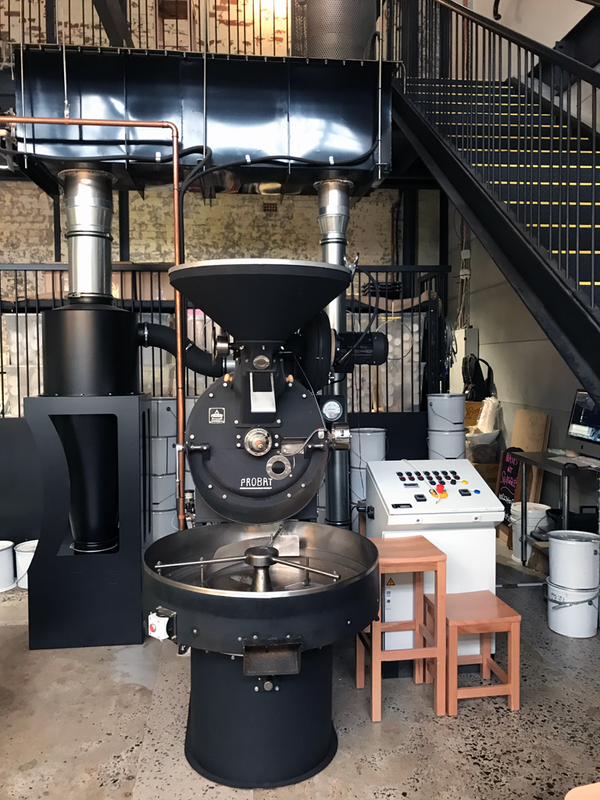 To that end we use a state of the art roasting equipment, using a high tech conversion roasting method that flows a stream of hot air through the roasting drum in order to roast the beans. The Brambati uses a continual flow of hot air to surround and roast the coffee beans, preventing scorching and providing a more evenly roasted bean. While being roasted, the movement of the coffee beans within a rotating drum encourages a much more evenly roasted bean and prevents the risk of burning when the beans are left to sit still using a direct heating method. Every part of the Brambati that comes into contact with the beans is made of stainless steel, including the drum. Stainless steel heats quickly and ensures cleanliness and quality, which is paramount when creating a premium locally roasted consumer product. Each variety of bean has different roasting requirements. The Brambati allows the roaster to program and control the heat and temperature, the drum rotation, the air circulation, the roasting air flow, the roasting time and the cooling time. Such control results in perfectly roasted coffee beans every time. Using a machine like the Brambati ensures that the roasting requirements of each bean variety can be ideally catered for. The beans are nurtured and cared for individually. It is only once the beans are completely cooled that they are blended together to create that unique coffee experience.